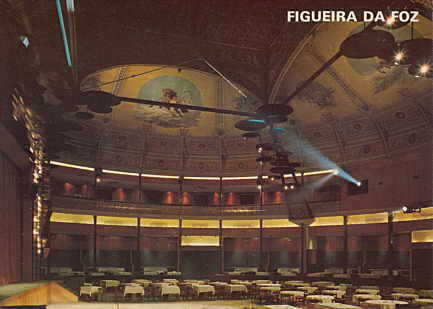 Casino with a multi-purpose theatre hall ("Salão de Festas"). Built 1884 at the site of the Teatro Circo Saraiva de Carvalho. 2002-2003 major rebuilding. Front Text: "Figueira da Foz"